Come to the Museum to stimulate your mind and connect with your community. Join us for a series of conversations around the exhibition Arte Diseño Xicágo. 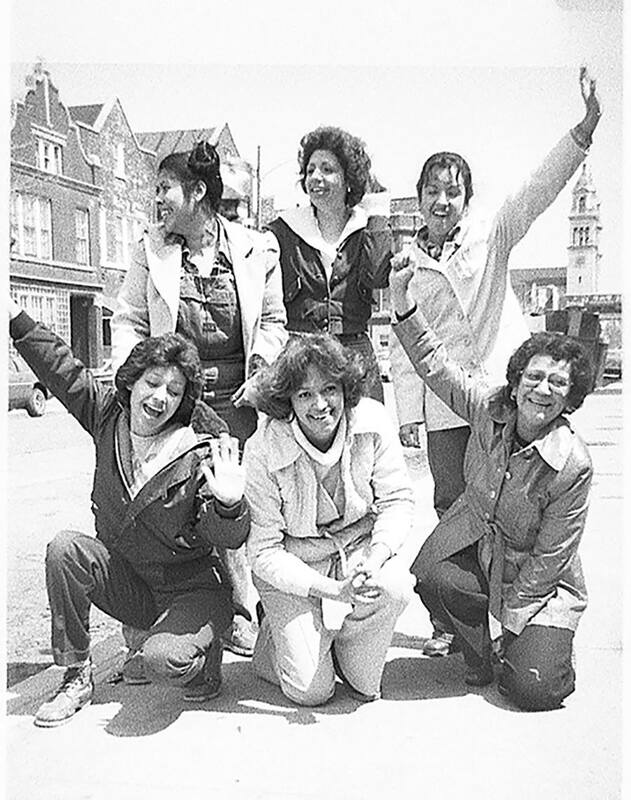 Artistas Mexicanas & Mujeres in the Local Arts will provide a glimpse into mujerista arts organizing and activism in 1970s Pilsen. Enjoy a video screening of Eleanor Boyer and Karen Peugh’s Festival de Mujeres (1979) and panel moderated by interdisciplinary artist, researcher, and educator Nicole Marroquin, honoring the work of Malú Ortega, Diana Solís, and Karen Peugh. Concept image for the Festival de Mujeres poster and T-shirts, 1979. Mujeres Latinas en Acción supporters on 17th Street. Photo by Diana Solís. Arte Diseño Xicágo is part of Art Design Chicago, an exploration of Chicago’s art and design legacy, an initiative of the Terra Foundation for American Art with presenting partner The Richard H. Driehaus Foundation.